We’ve rounded up a list of restaurateurs to watch from across the United States. Each of these restaurateurs (or restaurateur groups) brings a unique point of view to their newly opened restaurants (they’ve all opened at least one within the last year). While some of them have been in the restaurant business for longer than others, they all show great promise and should definitely be on your radar. About: Edouardo Jordan honed his skills at the widely acclaimed French Laundry. In 2015, he opened his first restaurant, Salare. Salare boasts a refined menu that is primarily European but draws upon African, Caribbean, and Southern cuisines for inspiration. Jordan admits that he initially ran away from the idea of cooking classic southern food because he did not want to be pigeonholed. However, this year, he opened a second—and uber-successful—restaurant, JuneBaby, that pays tribute to the southern food of his childhood. The venture has already earned him two James Beard awards—best new restaurant in the country (he’s the first African American chef to take home that honor) and best chef – northwest. The house specialties at Junebaby include fried catfish with grits and fiddleheads and “Momma Jordan’s Oxtails” with grapes, trumpet mushrooms, turnips, and black rice. 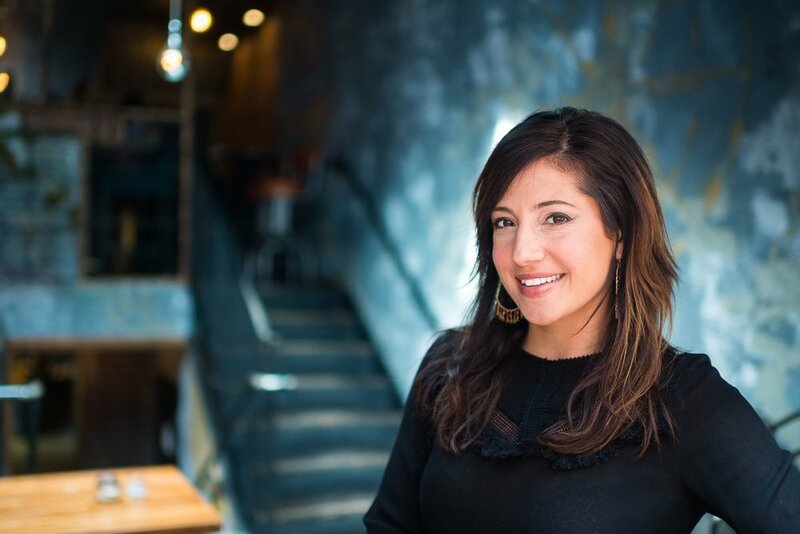 About: Rose Previte has quickly become one of the biggest names in the D.C. food scene. Growing up in a Sicilian-Lebanese family, she helped her mother run a Lebanese catering business out of their kitchen in Ada, Ohio. She developed an appreciation for other global cuisines when she visited over 30 countries during the time her husband, NPR journalist David Greene, was stationed in Russia. Her travels inspired her first restaurant, Compass Rose, which she opened in 2014. The menu features traditional street food dishes from across the world. Diners can enjoy Malaysian chili shrimp, Russian beet-cured trout, and Peruvian steak in the main dining room or in the Bedouin tent built on the back patio for private parties. The restaurant’s signature dish is khachapuri, a cheese-filled bread common in street food stalls across the world and especially ubiquitous in Georgia. This year, Previte returned to her culinary roots when she opened Maydan, a Middle Eastern restaurant just four blocks North of Compass Rose. The fare is inspired by family meals in Eastern Europe, North Africa, and the Middle East. Flatbread is brought out continuously to eat with the wide selection of spreads (including Beiruti hummus, taktouka, and labneh), vegetables, seafood, kebabs, and larger plates—Previte’s lamb shoulder with Syrian seven spice is widely praised. About: Philip Krajeck’s appreciation for good food began when his family moved to Brussels when he was ten years old. He opened his first restaurant, Rolf and Daughters, in late 2012. The restaurant’s specialty is homemade pasta, which diners enjoy in the restaurant’s exposed brick dining room. Customer favorites include the hand-cut farro gemelli with mushrooms, kale, and parmesan and the paccheri with spring onion, heirloom beans, and pine nuts. The restaurant was an instant success, and was even named one of Bon Appetit’s top three new restaurants in America in 2013. Naturally, diners eagerly awaited Krajeck’s next restaurant, Folk, which he opened in April. Krajeck, who previously staged at famed new York Pizzeria Roberta’s, has described Folk as a passion project. 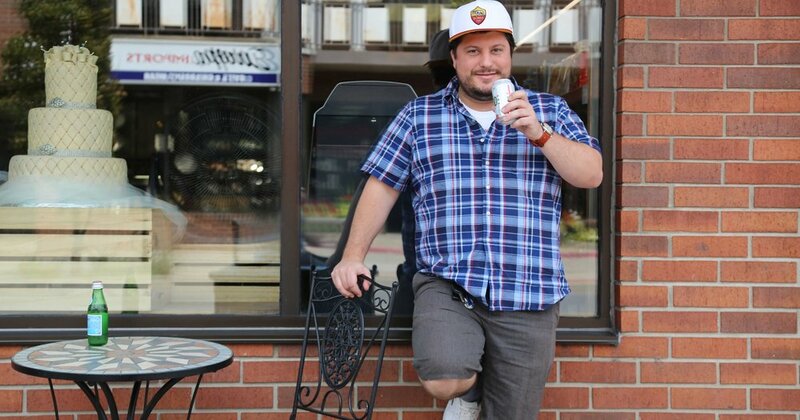 At Folk, he hopes to share his love of pizza with the world. The restaurant’s specialty pizzas include a tomato mozzarella pizza topped with a salad of spring lettuces, herbs, and Italian dressing and clam pizza with agretti, bonito, lemon and chili. The rest of the menu focuses on minimalist vegetable dishes that use just a few ingredients each. About: Business partners David Nayfeld and Matthew Brewer have worked in some of the best restaurants in the country. 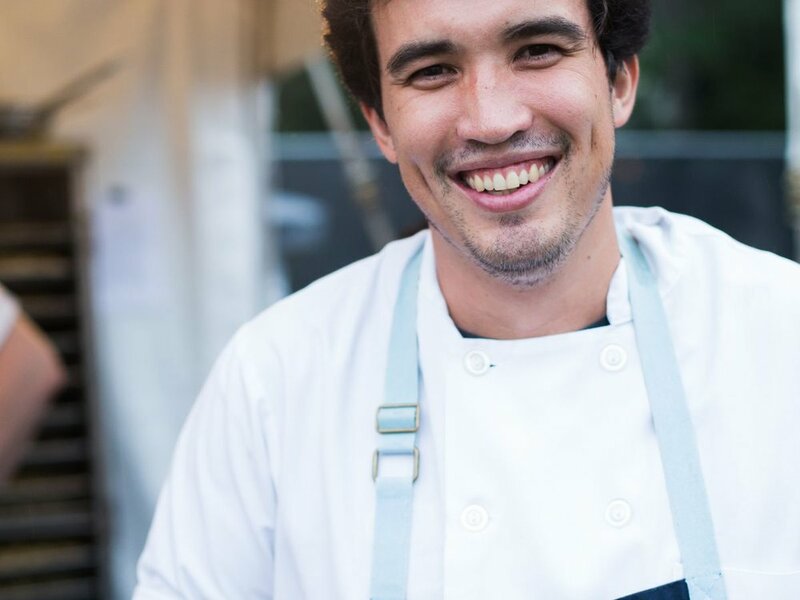 Nayfeld, who is originally from the Bay Area, worked at Eleven Madison Park in New York returning to California to open a pop-up restaurant, Fifty Seven, in Los Angeles. Brewer spent two years at the Michelin-starred L20 in Chicago before founding Hogsalt Hospitality restaurant group (Au Cheval and Bavette’s), where he directed operations until 2014. That same year, a mutual friend who knew that Nayfeld and Brewer were both looking to open restaurants of their own introduced the two. They recruited pastry chef Angela Pinkerton, another Eleven Madison Park veteran, to handle desserts. In March of 2018, the trio finally opened Che Fico (the name, which roughly translates to “what a fig,” is an Italian slang term that means “that’s so cool”). Despite the Nayfeld and Brewer’s fine-dining backgrounds, Che Fico serves rustic Italian and Roman Jewish fare with a focus on local California ingredients. The menu features handmade pasta, in-house charcuterie (there’s a room dedicated to aging charcuterie in the middle of the dining room! ), and Neapolitan pizzas as well as seasonal specials. Pinkerton’s desserts range from cannolis with housemade ricotta to olive oil cake with elderflower gelato). Even though Che Fico is only a few months old, it is wildly popular and counts Gwyneth Paltrow and Anderson Cooper among its devoted diners. Now, devotees are eagerly awaiting Theorita, a pie-focused luncheonette the three are opening this fall. About: Three-time James Beard nominee Erling Wu-Bower has an impressive pedigree. He’s worked at some of the best restaurants in Chicago, including Avec, The Publican, and Nico Osteria. This April, he opened a windy city restaurant of his own with his restaurant group Underscore Hospitality. 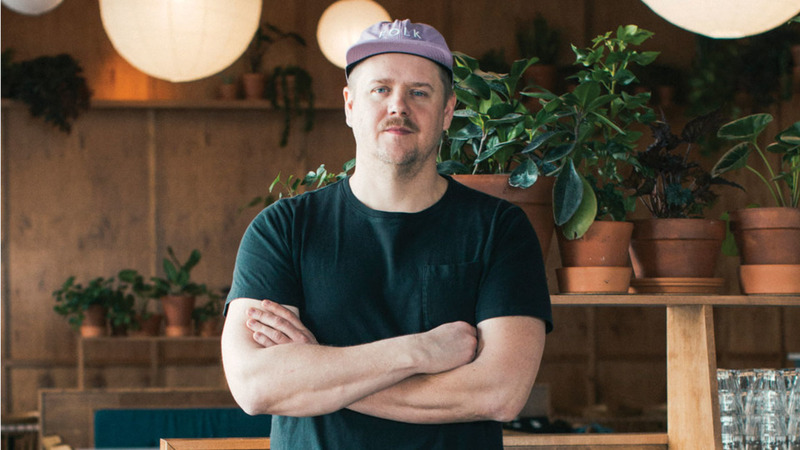 At Pacific Standard Time, Wu-Bower trades in precision cooking (the style of choice in his previous kitchens) for wood-fired hearths and pizza ovens. The menu at Wu-Bower’s “obsessively anticipated” restaurant changes daily and pays homage to authentic California cuisine. Wu-Bower, whose mother immigrated to the U.S. from China, is inspired by the intercultural conversations that California diners have come to expect in their meals. Therefore, PST’s menu incorporates flavors from across the world and also adopts California’s emphasis on seasonal cooking. Dishes at PST range from wood-fired flatbreads and coal roasted vegetables to soft shell crab with bacon, pickled onion, bibb lettuce, and tomato and sea bass in a poblano broth with clams, snap pea, and radish. About: Edwin Zoe’s parents owned multiple Asian restaurants in the Midwest before relocating to the west coast. 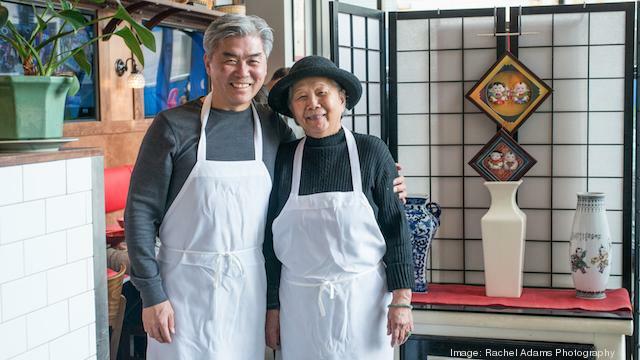 In 2010, Zoe and his mother opened Zoe Ma Ma, an authentic Chinese street food restaurant, in Boulder. Zoe Ma Ma emphasizes high-quality ingredients such as organic noodles and cage-free eggs. In 2015, they opened a second location in Boulder’s Union Square. Now, Zoe is back with a more upscale restaurant, Chimera. At Chimera, located next door to Zoe Ma Ma, Zoe does not stick to the confines of just one Asian cuisine. Rather, he draws on his father’s northern Chinese heritage, his mother’s Taiwanese heritage, and his own Midwestern upbringing to offer diners a taste of the Pacific Rim. The menu features everything from Jasmine-tea smoked chicken to Korean hotpot, and soup dumplings. Since opening in April, Chimera has received rave reviews and even tops Eater’s list of The 14 Hottest Restaurants in Denver, June 2018. About: Antoni Porowski has captured hearts across America as the designated food expert on the Netflix revival of Queer Eye (season 2 premiered June 15). Some viewers believe that the dishes Porowski prepares on the makeover show (like fresh guacamole and French omelets) are too simple for him to be taken seriously as a chef. However, his defenders maintain that he needs to cater to the skill levels of the men and women the “fab five” advise (most of whom don’t know their way around the kitchen). Porowski will have the chance to prove his cooking chops once and for all when he opens his first restaurant, a fast-casual place in New York. While most details about the restaurant are still under wraps, Porowski says that the restaurant will open within the next few months. About: Husband and wife team Samantha Kincaid and Jon Nodler met Michael Fry when they were working at Ellen Yin’s Fork. Together, the three opened Cadence this past March. The chefs cook with the best ingredients that the region has to offer and incorporate many obscure ingredients and offcuts, like lamb heart, in order to create a dining experience that is “at once thought-provoking and familiar.” For example, the chefs upgrade traditional chicken wings by stuffing them with a chicken mousseline flavored with Thai chilis, herbs, and lime. Kincaid is responsible for the desserts which include a malted chocolate tart and oat milk shaved ice. Diners can choose to order a la carte or set-price menus. The restaurant is BYOB, but offers an extensive menu of non-alcoholic drinks like house-made vinegar shrub sodas, kombuchas, and high-grade teas (the teas are paired with the tasting menu). They can also recommend wines that are available at a nearby liquor store to go with each course. About: Husband and wife team Ori Menashe and Genevieve Gergis burst onto the culinary scene in 2012 when they opened Bestia with established restaurateur Bill Chait. Menashe served as chef while Gergis served as pastry chef. The Italian restaurant has been called one of the biggest restaurants to open in Los Angeles in the last decade and, six years after opening, is still almost impossible to get a reservation there. Menashe and Gergis have cemented themselves as restaurateurs in their own right since the opening of their second restaurant, Bavel, in 2018. Bavel’s Middle Eastern menu pays homage to the couple’s ancestors in Israel, Morocco, Turkey, and Egypt. The menu includes three kinds of hummus, foie gras halva, and other spreads as well as a selection of appetizers, flatbreads, and entrees, all.intended to be served family style. The slow-roasted lamb neck shawarma with tahini, fermented cabbage, pickled turnips, and laffa is particularly well-reviewed. In addition to developing inventive desserts like licorice ice cream bonbons and rose clove chocolate donuts, Gergis contributed to the interior design of both restaurants. 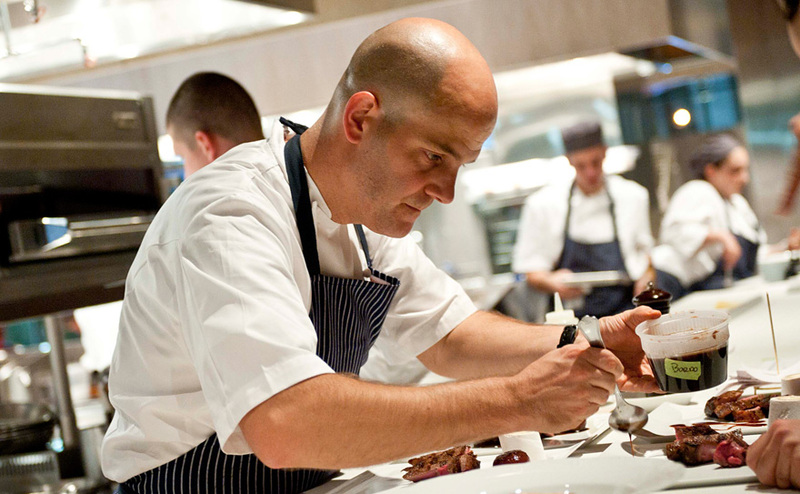 About: Chef Jonathan Benno has been called “criminally under-appreciated.” Benno, who has worked in Per Se, The French Laundry, and Gramercy Tavern among other esteemed restaurants, is well-respected among other chefs, but his name is relatively unknown to the public. That may change soon though. Last year, he left a six-year tenure at Lincoln to develop three restaurants of his own in the Evelyn Hotel. All three restaurants are Roman-inspired. The first, a cocktail bar and lounge, opened just last week. Leonelli Taberna’s menu features snacks like charcuterie and fried coquettes to share as well as antipasti like grilled octopus, pasta like a gnocchi with braised oxtail, and mains like a pork chop with horseradish gremolata. The second restaurant, an all-day bakery and cafe is set to open this month. Leonelli Focacceria e Pasticceria will feature pastries, focaccia sandwiches, soups, salads, and flatbreads that are largely influenced by Roman pizzas. The third restaurant, Benno, is slated for a fall opening. The most high-profile of the three, Benno will serve upscale Mediterranean food. About: Chef Anthony Lombardo got his start at Bacco, a longstanding Italian restaurant in Southfield, Michigan. He later left his home state to work at the renowned 1789 and The Hamilton in Washington D.C. Last year he ventured to Italy where he worked in numerous Michelin-starred kitchens. Now, he’s back home in Michigan where he just opened a restaurant, SheWolf, in Detroit with his childhood friends. SheWolf’s rotating menu, which Lombardo describes as “a more modern, chef-driven” Italian is inspired by the pastificios (“little pasta factories”) he explored while in Italy. The menu features starters like “Italian Divorce Soup,” a play on Italian wedding soup and entrees like a 16-ounce tomahawk veal chop with peas and bone marrow. The highlight of the menu, though, is the pasta. What makes Lombardi’s pasta so special is that he mills the organic, heritage whole wheat flour in-house in an enclosed glass room. The flour is used to make ten styles of pasta. Standout dishes include the cacio e pepe and the amatriciana (spicy red sauce) both made with tonnarelli, the spicy lamb neck ragu over orecchiette, and the conchiglie (shells) stuffed with octopus bolognese. We love that the restaurant industry is so innovative & always evolving! Restaurateurs like these make us excited to be in an industry full of talent, craft, and deliciousness. If you haven’t already, make sure to check these restaurateurs’ restaurants out the next time you’re in their neighborhoods!